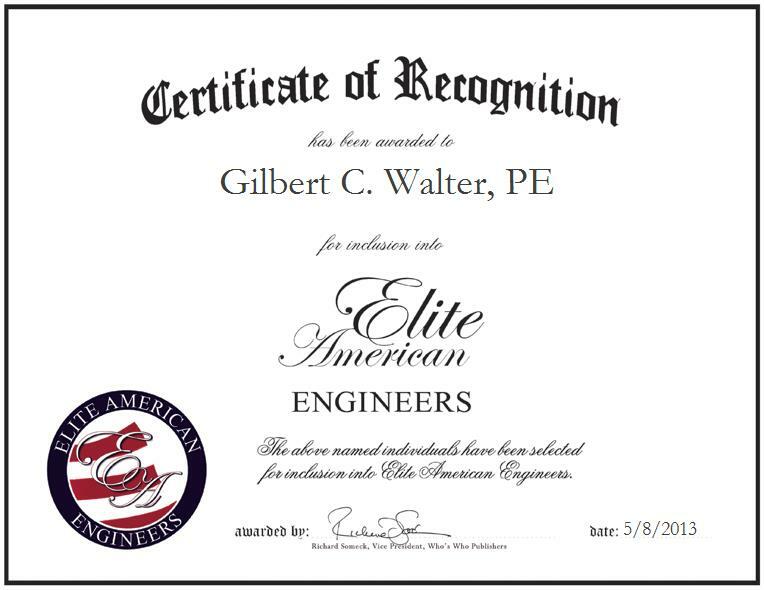 Gilbert C. Walter is the President of Safety and Compliance Engineering, a leading global provider of product safety engineering consulting and testing services. In his executive leadership role, Mr. Walter is in charge of contracting three consultants, working in product safety for electronic, chemical and electromotive interference, and calibrating his equipment every six months. Mr. Walter complies to new standards by underwriters, researches client products to comply with standards, visits start-up companies to distinguish whether or not they would like to produce a product, and attends and conducts seminars. Mr. Walter has also garnered a reputation of distinction for adeptly estimating costs, meeting with his clients, conducting needs assessment of eight pages, labeling all tests, and conforming to the standards written up by the FCC. Mr. Walter is also teaching a consultant to take over his laboratory. With nearly half a century of professional experience under his belt, Mr. Walter attributes his success to his father telling him that the U.S. is a young nation and they need people to improve it.